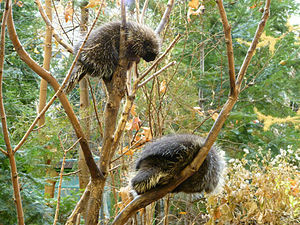 Have you hugged your porcupine today? Odd title, huh? Actually it is appropriate for today’s blog: the two sides of living with depression. One side involves the person who is depressed, the other side involves the people who live with the person who is depressed. And the porcupine imagery catches some of the tension and difficulty in living on either side of depression. One who struggles with depression is acutely aware of pain, suffering, woundedness, etc. When some one close wants to help, through words, or hugs, or just listening, the quills of the porcupine make it painful even for the helper. Often unknowingly the one helping may trigger some reaction (see Depression and Triggers) in the depressed person. It may bring back memories (see Depression and Memory) that cause further pain. The quills are getting sharper. At the same time, for the depressed person, the quills pointing inward feel much larger, much sharper, and much more focused on the areas of pain. Thus, the helper is reaching out and getting stuck with quills, and may withdraw. Meanwhile, the depressed person is hurting more, and tends to withdraw. It is a catch-22, the depressed person needs more companionship in the best sense of that word, yet the encounter can be painful and self-defeating. It doesn’t take long for the porcupine effect to close doors rather than open them. Thus, for the depressed person every event becomes intensified. Rejection is more acute, a sense of abandonment lurks behind every relationship. Not a winning combination. For the person who is depressed, it really comes down to having a few people who will faithfully walk with you, not pressuring, not demanding, but to be there for you. In the darkest days, God was drawing me, even when I wasn’t aware of it. In the flesh, I was blessed with my wife, our son and daughter-in-law, and three elders and their wives. They stuck by me in the very worst of times. I marvel at their patience, their willingness to “put up with me.” And they did so for several years. Always supportive, always listening, always loving. As I look back, I can see how difficult I was to live with. In the worst days they needed to direct me to do things, every day things that we most often take for granted. If someone has not been down that dark road of depression, it might seem silly to need help with simple tasks. My close circle of family and friends never once gave that impression. They demonstrated Christian fellowship in the best way possible. Another aspect of companionship is to realize that I as the depressed person wanted to be around some people, but not necessarily participating in their discussion. It sounds odd, but for me I wanted to be a wall flower, listening and seeing others respond, but I didn’t want to speak or interact. It was almost as if I had to learn how to interact with people all over. And I didn’t trust myself on what or how I said things. I have found that dialog was hard for me. In the slide down and coming out the other side of the depression valley (for me a 4-5 year process for the actual diagnosed depression), I sometimes would speak, but not appropriately. I don’t mean vulgar or filthy talk, but it was if I couldn’t see how my remarks affected others. Even now when the depression battle rages, I have to be careful on what I say; when I forget about that, it can have negative repercussions. Of course, that plunges me further into the recrimination of despair. There were always two questions people would ask me: 1. Are you okay? 2.What can I do to help? I couldn’t tell whether I was okay, because I had been out of kilter for so many years. And I didn’t know enough about myself to ask for help, or even what kind of help I needed or wanted. The questions showed concern, but as a depressed person I wasn’t capable of providing even an intelligible response. That made me feel bad for a long time. As years have passed, I realize that neither I nor the other person knew what to say… And I am okay with not really answering. Those who care also can accept the lack of answers. Their love and presence spoke more than their questions, and more than any answer I could give. For me the ultimate place to be with people and yet not be part of it was in worship. The liturgical worship service provides the environment to welcome, embrace, and lead people who are hurting. Confession: I was good at internally… I could beat myself up quite well, thank you. 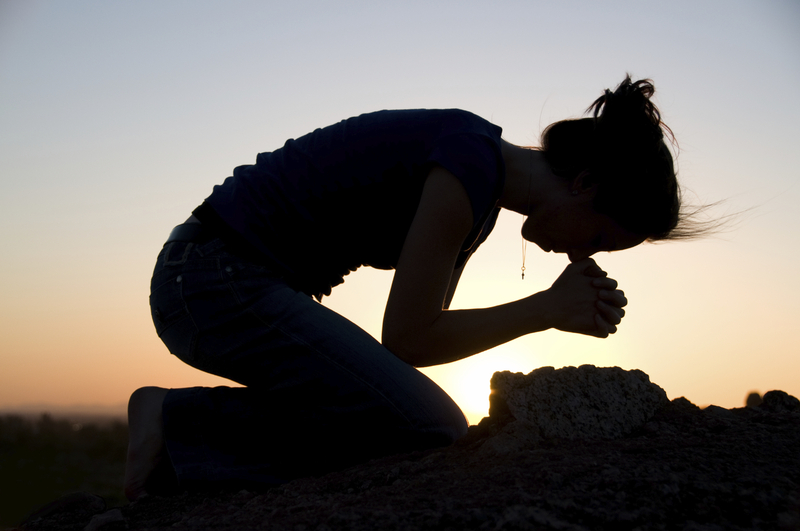 But confession before God exposed the shallowness of my beating myself up. It wasn’t only words and attitude towards others, but towards God that I needed to hear, to face, to confess—most often in my heart, the words not actually forming on my lips. But it was confession nevertheless. I could never tire of hearing that my sins were forgiven for Jesus’ sake. For me some Sundays I couldn’t sing the hymn of praise (“This is the feast…”). But inwardly I liked being around people who could. The creeds brought me reassurance that not even this congregation was my world; they drew me into the “cloud of witnesses” throughout the ages. The Lord’s Supper likewise reaffirmed the eternity of this reality, being in God’s presence, receiving His gifts. Once again the body and blood for the forgiveness of sins. The beauty of family, close friends, and worship comes together to bring about God’s work of pulling a person through even the deepest valleys. Ten times “comfort” is used in the passage. Speaks volumes, doesn’t it? And now God has given me the grace and comfort to embrace other porcupines… Been there, done that, and yes, porcupines can be loved. And God wins! Author exegete77Posted on 02/03/2012 09/03/2016 Categories Meditatio, Personal Reflection, TentatioTags caring for depressed, depression, depression and liturgy, fear15 Comments on Have you hugged your porcupine today?